After reading this you’ll start to buy more deodorants. 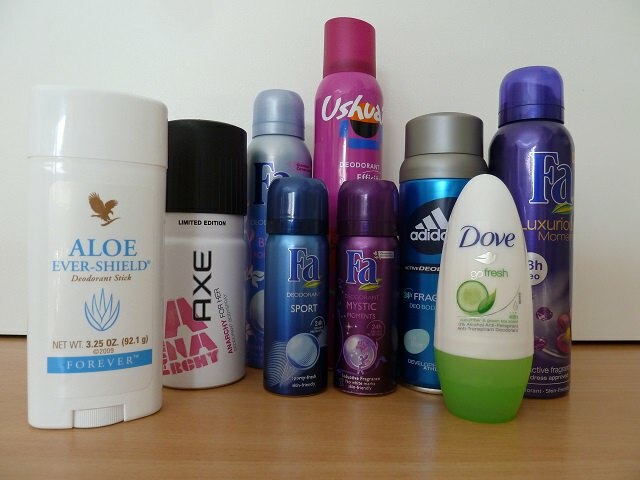 These 13 DEODORANT uses are so amazing and worth knowing! 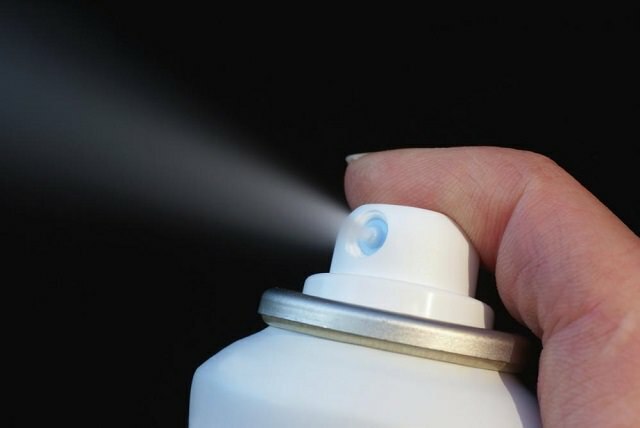 Most aerosol deodorants have a high alcohol content and this can remove stains of permanent marker from walls. You have to first spray the deodorant on the stain and then wipe it off with the help of a paper towel. A DIY tutorial is available on Instructables! On a hot and humid day most people have the problem of glasses/sunglasses sliding and slipping down from their nose because of sweat. You can apply roll on deodorant or antiperspirant on your nose to avoid sweating and keep the glasses from slipping down. To stop a door from squeaking penetrating oil and water displacing sprays work wonders, but you can also use an aerosol deodorant on the hinges to stop the bothering squeaky noise. It is one of the best alternative uses of deodorant as they are always at hand and way cheaper. Too much sweating occurs during warm weather, wearing tight bras affect the area under the breast most. But here’s is the solution, rub antiperspirant under the bra line before putting on a bra, this will not allow sweat and bacteria to form. If you have problem in wearing skinny jeans then spray deodorant on your legs before putting them on the deodorant prevent chafing, and reduces friction and sweating. Many people use naphthalene balls and other such options to keep the closets and drawers free from any musty smell, which can be a bit dangerous if you have a curious child or pets. So, if you want a much safer option to keep your closets and drawers smelling fresh, then leave a stick or gel deodorant without the lid in there instead of these chemical products. Using new shoes and shoe blisters goes hand in hand; there are people who suggest using oil to avoid shoe blisters because it act as a barrier. But using oil can ruin the shoe and it can get sticky after a long day, thus using a gel or stick deodorant instead of oil to avoid blisters is one of the best deodorant uses. If you quickly need to remove your nail polish when you are outside your home or if you ran out of your nail polish remover, then use deodorant. A deodorant works as nail polish remover as they have a high alcohol content. Using the correct foundation and concealer can hide all the imperfections and it also helps your makeup lasts longer; but if you have an oily or combination skin then within few hours your T-zone can become oily and your foundation begins to streak. Apply stick or roll on deodorant before putting in your makeup to avoid sweat. 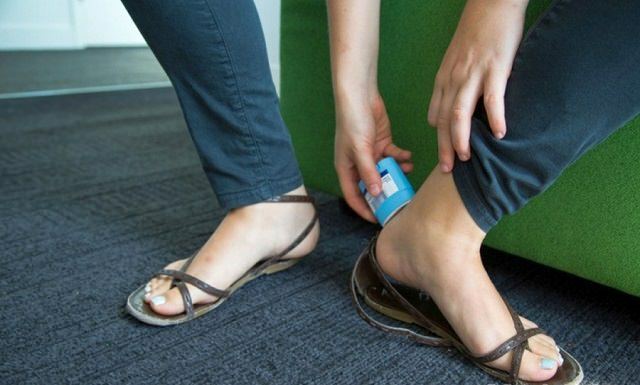 If you apply deodorant before wearing shoes, then you can avoid sweaty and stinky feet. Also, you can apply it before going to bed at night. The product will sink into the feet overnight as your body temperature is cooler when you are sleeping which causes the sweat glands to be more receptive to the deodorant’s active ingredient. The reason why deodorant can prevent sweating as it is formulated in a way to remove moisture. This is one reason why deodorant can also be used to get rid of pimples. Spraying or dabbing it helps in drying up the pimple fast. If you cannot handle the redness and the itchiness cause from a bug bite, then your roll on deodorant can help. This is made possible as most deodorants contain aluminum salts which can stop swelling and pain. Razor bumps are quite common for anyone who shaves their body; using deodorant to prevent razor bumps is one of the best alternative uses for deodorant. Applying deodorant with a high alcohol content can close the pore and kill bacteria and make sure that there is no sweating, which prevents the occurrence of razor bumps completely.